Head to Islamorada – without doubt the most beautiful stretch of the Florida Keys – and you’ll discover super-chilled Casa Morada. 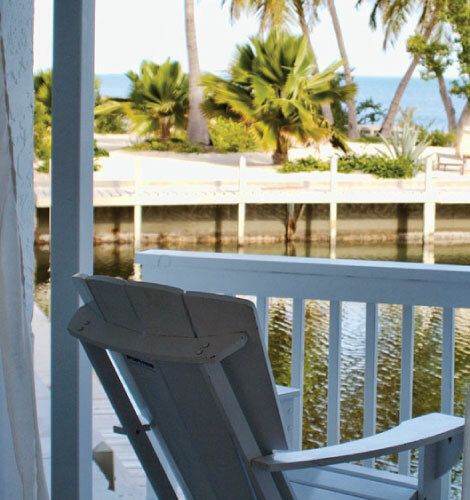 Casa Morada is Islamorada’s version of a lush paradise. This boutique hotel lined with Bismark palms and cosy paths that lead to local tropical vegetation provides its guests with a tranquil experience in the Florida Keys. The property has 16 unique suites to choose from with garden or sea views. Islamorada is about halfway between Miami and Key West, so it’s a good place to spend a night or two. The gloriously secluded all-white boutique hotel Casa Morada (run by three hoteliers who cut their teeth working for Ian Schrager) was recently renovated and has 16 suites, along with numerous high- and low-adrenaline activities on offer, from scuba diving to yoga (305-664-0044; doubles from $399). The charming Moorings Village, a cluster of cottages set on a former coconut plantation, has a private white sand beach (for more of those throughout Florida, see page 88), a swimming pool, and orchids everywhere. Book one of the colorful cottages facing the beach (305-664-4708; doubles from $419). The drive from Miami to Key West through the Florida Keys is one of the most fun and scenic road trips in the US. Break up the journey with a stay at Casa Morada, an all-suite boutique hotel that was once a 1950’s roadside motel. Lush gardens are filled with native plants, reducing the need for extra irrigation, and include a waterfall and bocce court. On a private island, connected to the resort via a footbridge, are the pool and gazebo where sunset cocktails are served nightly.